Telecom company Cable & Wireless relies on its young and energetic sales team to keep revenue humming. Its sales incentive program needs to keep this group motivated and The Power Challenge event is held each year to encourage high sales performance. 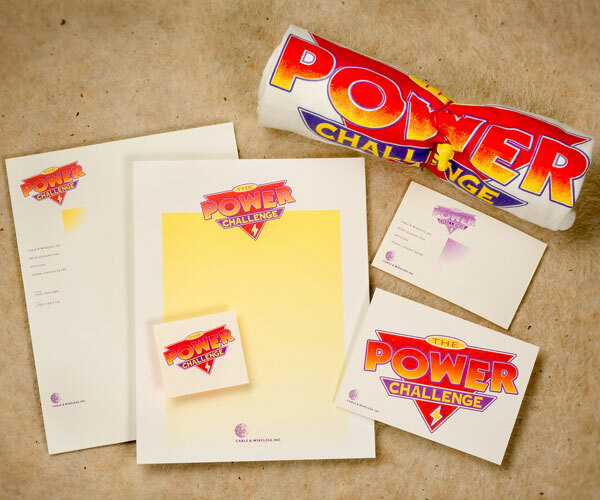 Working with the event management firm USMotivation, Snowball created a program theme anchored by the tagline, “Get charged!” We developed a logo and kit, which was mailed to all invitees, that included PowerAde, PowerBars and a Power Challenge tshirt, wrapped in electrical wire. We also created all collateral material and posters. Given the young, energetic audience, we chose a youthful, bright color scheme. Cable & Wireless was able to send out a package worthy of their top sales people and appreciated the attention to detail provided, for example, with the wire wrap.